Advanced Foot and Ankle Center of North Texas always appreciates feedback from our valued patients. To date, we’re thrilled to have collected 93 reviews with an average rating of 4.84 out of 5 stars. 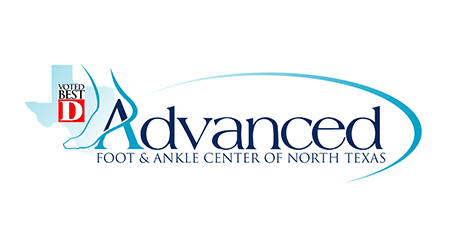 Please read what others are saying about Advanced Foot and Ankle Center of North Texas below, and as always, we would love to collect your feedback. We have seen Dr Myer about 3 times in the past 12 months. He has always been top notch. You can not ask for better treatment! You ROCK! Dr Myer was very kind an explained reasoning behind my foot pain and all treatment options , in fact using his recommendations I already feel less pain , I think I found a foot doctor for life but I will not recommend Carroll location , it is very small in all aspects and extremely crowded , foot X-ray machine is right by bathroom door , it felt like backside of a retail store than a medical facility. Dr. Myer listened to my problem and took care of the issue. Dr. Myer is fabulous and always takes time to listen to me and my concerns. He’s working hard to get the insurance company to cover the MRI I need. Dr. Meyer was a caring, professional man. He took time to explain to me about my feet. I appreciate the time and compassion shown to me. Great service and helpful staff. Doctor Myer is very knowledgeable and I have confidence in his care. Dr. Myer is easy to talk with. He explained the process for treating my problem. Dr. Myer always knows how to make everything all better! My latest visit concerned an inflamed and swollen ankle. After an xray showed no damage to the ankle he sent me home with a prescription pain medication. It has only been one day, but the single pill I took is still working after 24 hours. I am walking normally, not favoring the ankle at all and the pain is all but gone. He also treats a foot callus I have, and it is always such a relief from the discomfort it causes when doctor has treated it. Thank you Dr. Myer! Everyone at the office is so nice and efficient. He went over all scenarios and was up front with the information. Dr. Myer cares for multiple members of my family who are all very happy with his professional demeanor and care. Good conversation with Dr. Myer. Meet my satisfaction. I can ALWAYS depend on Dr. Miller to diagnose and treat any problem I am having with one or both of my feet. His never rushes my visit, always welcoming, and he "fixes" my problem. I have so much confidence in Dr. Miller and would never hesitate to recommend him. My son was nervous before getting to see DR Myer. After the procedure my son was amazed how easy it was and how much better he felt. Thank you Dr. Myer for the great care! It was a great experience .